Deluxe bariatric bath tub bench / chair. 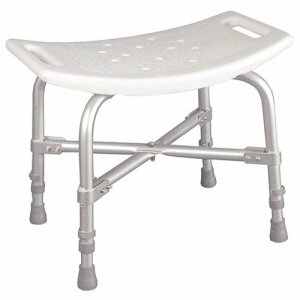 With a 500-pound weight capacity, this bariatric bath bench from Drive Medical is strong and sturdy. A cross brace attached with aircraft style rivets provides dependable strength. The blow molding on the seat are contoured to provide extra comfort. Drainage holes in the seat reduce slipping, while adjustable height legs ensure a proper fit. 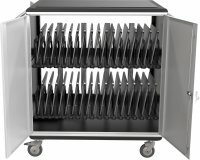 The aluminum frame is lightweight, durable and corrosion proof. The bench is protected with a limited lifetime warranty.